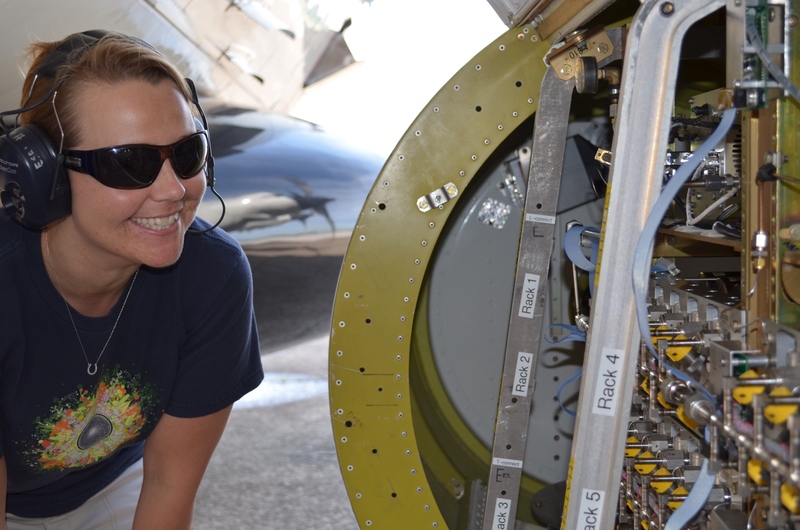 Jessica Gilman completing her pre-flight installation and checkout of 72 Whole Air Sampler (WAS) canisters deployed in the underwing pod carried by the NOAA WP-3D research aircraft. Acquiring WAS canister samples during flight is fully automated and can also be triggered on demand by the on-board flight scientist, providing a targeted sampling capability that has been essential to capture emission plumes from oil and gas production facilities and urban areas. Using tools she has developed, Dr. Gilman's expertise in sampling and interpreting VOCs has transformed the understanding of human pollution source impacts on the ambient atmosphere. Recognized for Personal and Professional Excellence, Jessica Gilman receives a 2018 OAR Employee of the Year award for her outstanding innovation in measurements and understanding of atmospheric volatile organic compounds, enabling a software breakthrough that transformed atmospheric compositional analysis using gas chromatography and mass spectrometry, and for public outreach and mentoring of young scientists. Dr. Gilman is a research chemist in CSD who has not only excelled as a scientist, but also as a colleague and leader in the organization. Among her numerous accomplishments, Dr. Gilman led a team of researchers in developing a new analytical instrument that provides ground-based sampling of atmospheric VOCs using a combination of gas chromatography and mass spectrometry (GC-MS). By approaching the project in a creative and unconventional manner, she custom-designed a highly configurable system that extracts VOCs from ambient air. The new system allowed her to better understand the chemical composition of emissions from U.S. oil and gas production when she first deployed the instrument near Denver, Colorado. This research project was the first to show that oil and gas VOC emissions contribute over half of the initial atmospheric "reactivity" (a measure of O3 formation potential) in Denver air, eclipsing the contributions from vehicular tailpipe emissions and other sources. Dr. Gilman's published results were later cited as a key State's exhibit when Colorado passed landmark ozone control legislation in 2012 that restricted VOC emissions from oil and gas development in the Denver Julesburg Basin (DJB). Beyond developing and synthesizing the influential tools and data used in the DJB study, Dr. Gilman improved the value of the data collected by her instrument by working closely with software engineers over several years to automate and improve the way datasets were processed after the GC-MS analysis. These improvements allowed her to quantify many previously unreported VOC compounds emitted from household chemical products in urban areas. Her technique demonstrated that consumer products made a significant contribution to VOC emissions, work co-authored by Dr. Gilman that was published in Science in 2018. 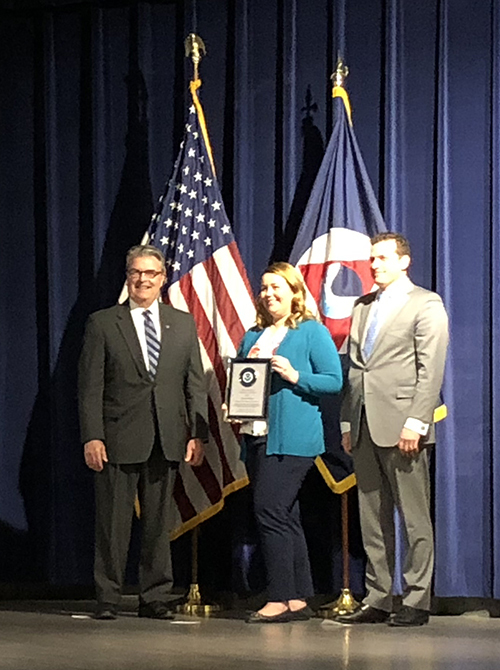 Besides Dr. Gilman's impressive scholarship and technical achievements, she has also been at the forefront of communications for NOAA and CSD. She has mentored several students at NOAA Boulder through her role as a Colorado Mentor Team member. For the last several years, Dr. Gilman has hosted undergraduate students from Hendrix College in Arkansas who are interested in STEM; she shows participating students the latest developments in atmospheric research happening at NOAA Boulder and encourages students to enter STEM fields. Jessica has also broadened communication between her colleagues in CSD: she conceived of, founded, and has led the monthly CSD First Friday Forum seminar series. These "First Fridays" provide a platform for early career scientists to present their work to their colleagues, senior scientists, and management. Dr. Gilman continues to improve and advance NOAA science and research while acting as a representative of the agency and its core mission. 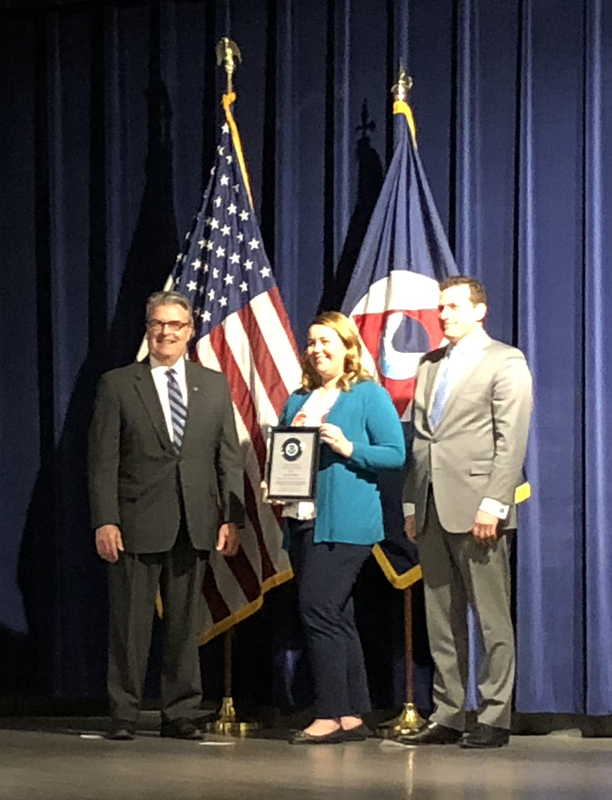 She receives this well-deserved recognition at the NOAA OAR Awards Ceremony on 12 March 2019 in Silver Spring, Maryland.